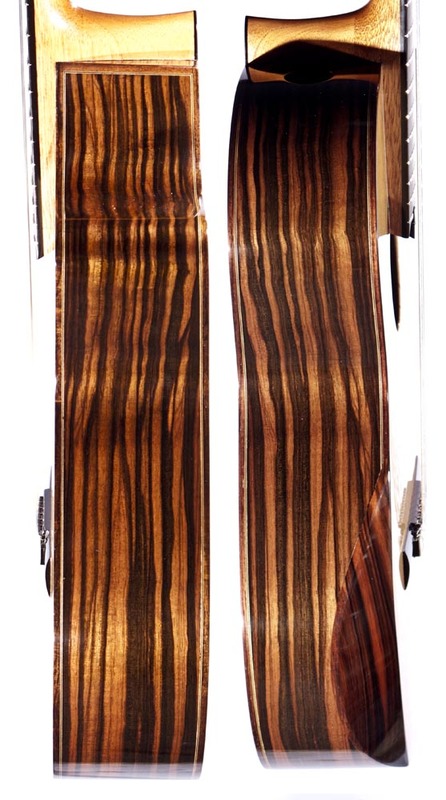 Hill Guitar will be at SBAIC! 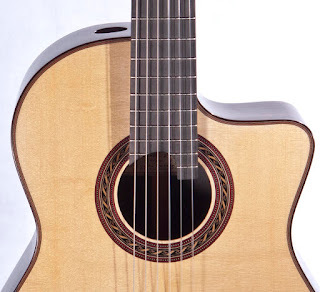 The Santa Barbara Acoustic Instrument Celebration is this Weekend! The modern “guitar festival” in which the public could meet directly with a number of celebrated luthiers was created two decades ago by Charles Fox, Tom Ribbecke, and Todd Taggart in Healdsburg and brought to fruition by Chris Herrod and LMII. The Santa Barbara Acoustic Instrument Celebration is indebted to their vision and continues the tradition of presenting the state of the craft and the art of the music in an informal setting. 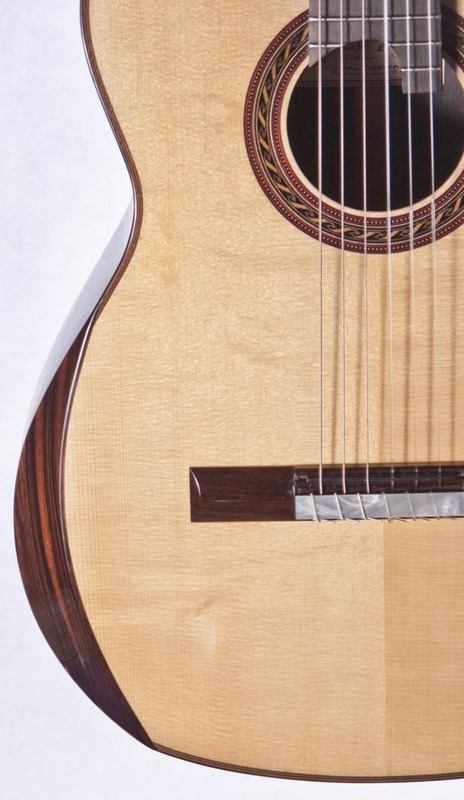 The Santa Barbara Acoustic Instrument Celebration is a unique opportunity to meet many contemporary masters of lutherie, and to see, play and purchase some of the finest handmade instruments directly from the builder. Many of these lutherie legends will be in attendance along with numerous contemporary icons who continue to set the standard and break new ground. Please join us for an unparalleled festival including fingerstyle, jazz, blues, classical, and slack key acoustic music all weekend at a relaxed California gallery and garden setting, in one of America’s premier destination towns. Our table will be in the Luthier Hall at table J10! 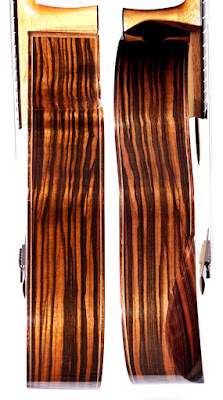 Come visit us and see what guitars we brought for you! 2016 Custom Crossover in Showroom! 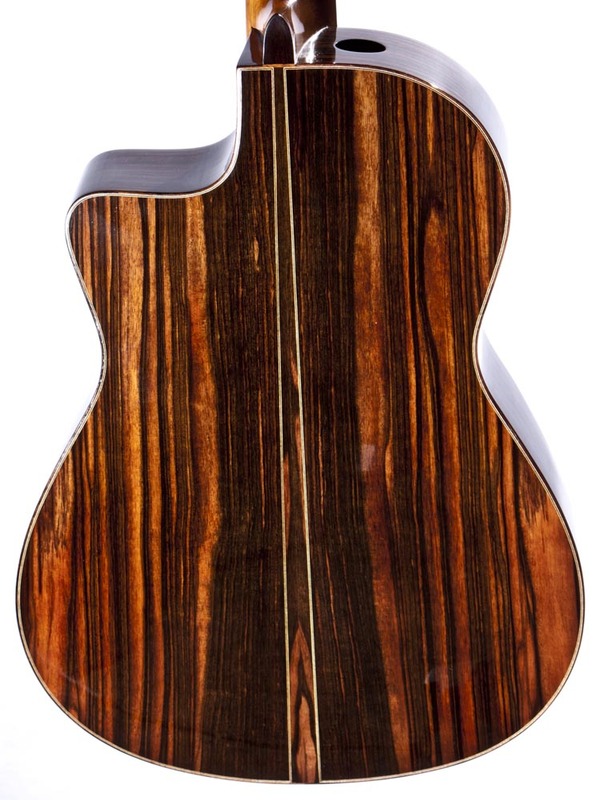 This is a new 640mm Custom CROSSOVER European spruce doubletop Signature with Macassar Ebony back and sides. This guitar sounds and looks terrific. With its shorter string length it plays easily! This Guitar is Not For Sale. 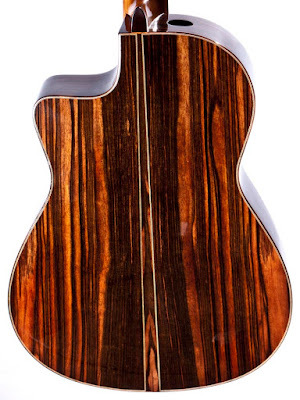 However, if you are interested in a guitar like this, please contact us for more info or to place an order.